Amazon is an international online retail store. Its various services related to cloud computing and other retail items make Amazon the largest online retail store of the world. Its various products and services include books, furniture, clothing, electronic devices, software, food items, jewelry and toys etc. Amazon also provides its own consumer applications: Echo and Kindle. Amazon’s acquisition of various corporations has significantly increased its annual revenue which was almost 177 billion dollars in the year 2017. Some of these websites and corporations are mentioned below IMDb.com, Alexa.com, Audible.com, Zappos and Annapurna Labs (Haucap & Heimeshoff, 2014). In order to manage its large and growing database of customers and a huge number of employees, Amazon uses advanced search technology and computing process which provides it with the competitive advantage that it holds over all of its rivals. Amazon owns its own search engine Amazon.com and a cloud computing service for data analysis: Amazon Web Service. Amazon.com provides the exact item a person is looking for from its stores with the help of short keyword. On the other hand, Amazon Web Service provides data analytics service to other corporations as well besides the in-house functioning. It is smart and advanced technological achievements in the form of search engine and web services have made Amazon the best among other retail and e-commerce corporations (Haucap & Heimeshoff, 2014). Amazon provides opportunity to the customers to get products they want and also provide opportunity to people so that they could sell their products over Amazon. As any other in-house search engine, Amazon.com directs the internet traffic solely towards its own products and services thereby giving more exposure to new authors and sellers to exhibit their products (Platzer & Dustdar, 2005). Amzon.com also ensures quality as it provides its platform to highly quality content for the customers. Instead of a research based search results as in Google, Amazon produces search results that are solely based on buying of products. 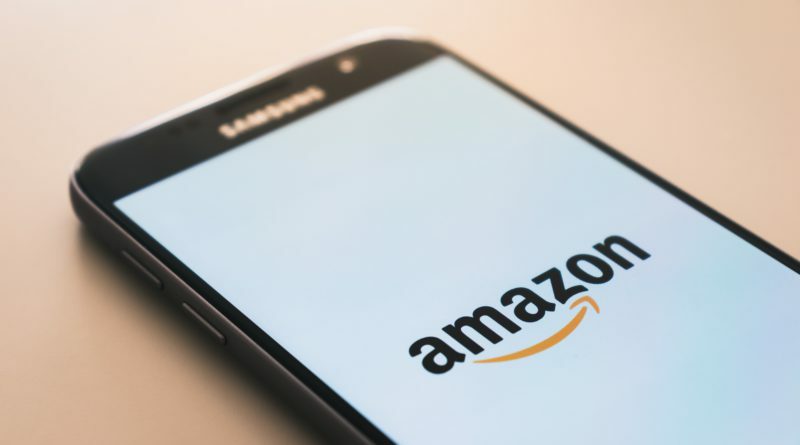 Amazon search engine focuses more on the buying patterns of the customers instead of their search patterns to device more accurate report on customer preferences and product reviews. Amazon search considers a number of factors before generating search results for the customers. These factors include: (a) keywords entered by the customers that are matched with the details, specifications and title of the item, (b) pricing and availability of the product and (c) sales preferences and history of the customer. These factors also enable sellers to give more exposure to their products by selecting titles and descriptions thoughtfully (Haucap & Heimeshoff, 2014). Whenever a seller enters a title or includes keywords in the description of the product, he does so for two types of audience. First audience is the Amazon.com search algorithm that processes the keywords so that whenever a person types a similar keyword, results about that specific product are shown (Neto, 2011). The other audience is the customer who reads the keywords and details in order to shop his desired product. Sellers can add a number of features alongside their main product description such as images of the book, coupons, discounts, reviews, promotions and other written content in order to endorse their products. Amazon provides a number of opportunities for sellers by encouraging them to use keywords so that their products could be ranked well and the sellers with exceptional sales history are also rewarded by Amazon (Platzer & Dustdar, 2005). The search engine also contains the feature of reviews in the form of star rating. The most liked products are the ones having a high star rating. This feature is also helpful for brands and sellers who endorse and sell their products on Amazon. The products having good reviews and high star ratings are also recommended to the other search engines. These sellers also get a higher ranking which poses certain challenges to the sellers who are new in the field and do not have an exemplary sales history. Amazon provides different search results for different keyword (Haucap & Heimeshoff, 2014). As described earlier, unlike Google, Amazon.com is not based on key phrase search algorithm but on key words. If a person types a phrase having the keywords “entrepreneur” and “entrepreneurship”, the results generated would be different for both of these key phrases. On the other hand, Google would produce almost the same number and nature of results when closely related key phrases are typed hence generalizing the results (Neto, 2011). Data analysis of online traffic and pattern requires a sophisticated data analytics tool which is a part of search technology used by a corporation. With such a huge amount of client data and growing transactions, a corporation must have a cutting edge tool that could manage the data and at the same time provides accurate future demand of customers. Amazon Web Service (AWS) is one such efficient and effective tool of data governance that is benefiting Amazon in many ways. Amazon itself uses this cloud computing tool to carry out the sales analysis and keep a record of all of its sales and customer demands so that no delay in product procurement or delivery happens (Neto, 2011). A number of companies that have to deal with large customer datasets are using AWS to manage their data and generate future patterns and demand of the customers so that resources are not wasted (Neto, 2011). AWS is cutting expenses of most of the organizations particularly for Amazon by providing features like data backups incase cyber attacks or malicious websites corrupt the customer information. Amazon.com and Amazon Web Service together are running a huge business smoothly which is also evident from the revenue and profit figures of the corporation. Amazon is providing remarkable search and analysis services to the clients all over the world, however there are some fields that can be improved in order to make Amazon incomparable (Neto, 2011). Amazon should introduce a searching algorithm that is able to direct the customers towards their desired products even if the keywords they have entered are not completely relevant. Artificial intelligence (AI) is the best solution to this problem. AI algorithms can be used to judge the demand of the user from his keyword so that he may access the potential solutions of his query. This may be a challenging job to deploy this complicated technique but it will help in an even better growth in profit and reputation (Haucap & Heimeshoff, 2014). Amazon is popular international retail corporation that has acquired shares of many other brands and also sells its own products and services online (Platzer & Dustdar, 2005). The huge number of stakeholders, employees, clients and products require a search technology that is solely focused on the operations and services of Amazon. Amazon owns its own search engine and a web analytics, Amazon Web Services (Neto, 2011). By combining the remarkable features of both of these technologies, Amazon is enabling its customers to have a unique buying and selling experience where both parties can achieve a mutual benefit. A number of features like customer reviews on the search pages, optimization through search history and keyword based research instead of key phrase search system has made Amazon a better and more focused search engine than other regular search engines. Through these services, Amazon has achieved a prominent position in the market and is still growing its technology to earn more benefit. If certain limitation, such as key phrase optimization is achieved through advanced algorithms, Amazon can become an unachievable goal for its competitors (Neto, 2011). Haucap, J., & Heimeshoff, U. (2014). Google, Facebook, Amazon, eBay: Is the Internet driving competition or market monopolization?. International Economics and Economic Policy, 11(1-2), 49-61. Neto, P. (2011). Demystifying cloud computing. In Proceeding of Doctoral Symposium on Informatics Engineering (Vol. 24, pp. 16-21). Platzer, C., & Dustdar, S. (2005). A vector space search engine for web services. In Third European Conference on Web Services (ECOWS’05) (pp. 9-pp). IEEE.